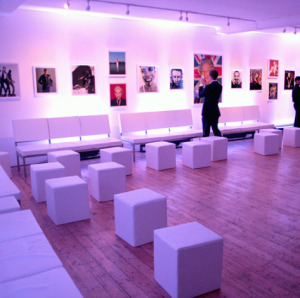 The Gallery Soho Art Gallery Spaces are available to hire for private, solo, group exhibitions and art exhibitions. The venue’s ideal central London location has great visibility. We are currently accepting the applications for gallery hire and bookings. Arranged over two floors, different event requirements can be catered for on different levels of the building. Each floor has a maximum capacity of 150 people which allows us to cater for both small and large events by opening up different parts of the building. The gallery soho has a fully equipped on site kitchen and bar, HD projector and Bose sound system.